A divergence today from this blog’s usual focus (ha!) 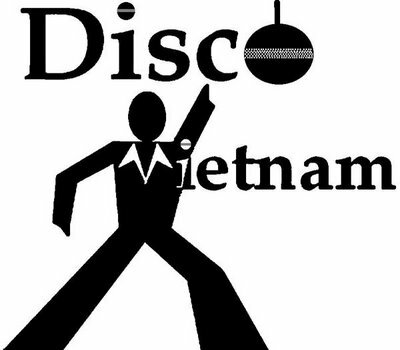 to bring you an important announcement: Disco Vietnam is coming to Brooklyn! Where: Hank’s Saloon, corner of 3rd Ave and Atlantic. It’s the divest bar that ever dived, and we (well, some of us) love it. It has flames painted on the side and it can get rowdy. Hank’s has cheap PBRs and a Walgreens nearby if you need Febreeze yourself once you leave. 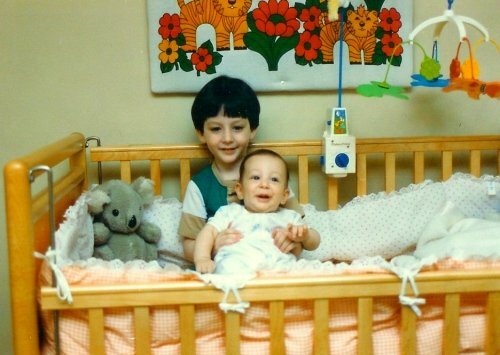 Who: The Brothers Schwartz (pictured below) make up the nucleus of the band. Barry you may recognize as a frequent contributor/critic on this site, and he’s also an excellent songwriter. Kenny is a New School grad and is (rightly) feared by drum sets the world over. you probably well know by now, the magic ingredient to success in any indie band is the Chick Keyboardist. She is a damn fine keyboard player, and a member of the Long Island Philharmonic. And she owns a pink gun, apparently. They play unapologetically catchy indie pop, with powerful melodies that shake like Ted Leo and pre-apocalyptic riffs that soar like Muse. This is their first-ever Brooklyn show after trolling far too long in the lonely salt mines of the Long Island music scene. Let’s show them a good time, so you can say you knew them when. Click the link at the bottom for their hit (at least it sounds like a hit) song, “The NP,” which is named after Natalie Portman, but not about her at all. The last time I saw the band play in Huntington, Natalie Portman’s parents walked by the bar with their dog. This is a good omen for things to come. They are currently finishing recording their first full-length album, Totally Awesome Decisions, with a street date sometime in the next few months. Their first EP, Get At Me Corruption, was inspired by one of my away messages (hey, remember away messages? ), and the new album name is my initials (TAD). I am still debating the Freudian ramifications of this.